What should you consider before signing up to a mobile plan? They are inevitable when you’re buying a smartphone, but you have more scope than ever when getting a good deal. SO YOU’VE THOUGHT about the type of phone you want to get – now we move onto the other important aspect: the providers. This year saw the addition of two new competitors to the market, ID from Carphone Warehouse and Virgin Mobile, making the market more crowded than ever. This means you have more to work with as the newer competitors offer deals and discounts in the hope you’ll be swayed over. Here’s what you should keep in mind. - What is your data usage, call usage and text usage like? - What’s your budget for both buying a phone and monthly pay? - How long do you want to wait until upgrading your phone again? Are you approaching the end of your contract? - If a mobile provider offers additional perks, do they tie into your current habits (eg, would a Spotify Premium add-on make sense if you use Google Play Music)? There are three main mobile plans on offer. Bill pay, prepay and SIM-only. While it may seem like one will be more expensive than the other, it depends on your needs and smartphone usage. Bill Pay: While the initial cost of a phone is cheaper at the start, bill pay is generally more expensive over the long-term. It comes with the most perks but it’s recommended for those who are heavy users or are thinking of getting a high-end device no matter what. Also, most contracts tend to last two years (some are 18 months) so think before you commit. Prepay: Using the top-up system to keep credit, prepay is useful for those who want to keep a rein on their spending. Providers usually include some perks for topping up monthly, but it’s worth remembering that they encourage this so you’re spending monthly, a bit like bill pay but under a different name. The major difference is unlike bill pay, you’re not tied down to the same network. You can move at any point since you don’t have to pay to end a contract. SIM-only: Not everyone will want to buy a phone from a provider, so SIM-free devices are a good way of overcoming that. A middle-ground between bill pay and prepay, most are on 30-day contracts which means you can switch at any time if necessary. Like prepay, SIM-only plans don’t tie you down to a particular network. You are free to switch at any time thanks to rolling contracts. There are two ways you can do this. The first is to check your own phone bills, all of them are accessible online and will give you an overview of how many minutes and texts were used as well as your data usage. The other way is to download a specialised app like KillBiller (iOS and Android), which analyses your phone’s usage and presents you with a list of suitable deals based on that. Its co-founder Shane Lynn recommends giving yourself a bit of room for increasing data usage since our habits can change significantly over the space of two years. Also data usage is the part that catches people out unlike calls or texts so extra importance should be placed on that. “Be aware that your user pattern will change over that time”, he explains. ”Give yourself headroom for data allowance because it’s [average data usage] increasing from 0.2GB to 0.3GB every three months”. So in two years’ time, you can expect to see another GB or two on top of your current usage now… that rate will go even higher as people start streaming more high quality content. Many of the bigger providers will offer unlimited or all you can eat data, texts or calls as part of its deals. While this sounds great in theory, in practice it’s more restrictive. These terms are covered by the fair use policy which, in essence, means an unlimited data plan can be called that because the average person won’t go over the limit. What that limit is depends on the provider, but all can be checked by following the small print. More providers have ditched it entirely and just list the max data allowance instead. It’s not as big a problem as it was before, but it’s something you should be cautious about. And even the purpose of unlimited calls and texts is a red herring, according to Lynn. [Unlimited calls and texts] sounds like an unbelievable offer but the reality is people on average use 220 minutes a month. So if you’re getting a plan that offers 300, 400 or 500 minutes a month, while that sounds a lot less than unlimited, that’s all you need and often those plans are priced considerably cheaper than unlimited plans. So why would you go to all of the trouble of looking at these things? The answer is the overall costs can catch you out if you’re not careful. What might seem like good deals in the beginning could end up hurting you in the long run. For sake of argument, let’s say you want to get the iPhone 6 (16GB version) which costs €649 unlocked, and we’re looking at a 24-month contract. If you were certain that you wanted Vodafone as your mobile network, the cost of the device would be as follows. (If you’re buying a prepay phone, it’s better to treat it as if you’re topping up every month like this example). This isn’t a perfect example by any means as there are many other variables to consider – there are other providers, there are cheaper phones, you might top up with €10 a month instead of €20, you can switch to a cheaper SIM-only/prepay plan and so on – but it’s a good formula to follow when you’re weighing up the pros and cons of different deals. Sometimes, a deal that looks good broken down might not be as attractive when you add up the overall costs. The same thing should be applied to limited time offers. Some might only be valid for a certain period of time – as a sweetener for joining a service – and will revert back to the normal rate once it passes so check the small print. So after covering all of that, what about the mobile providers themselves? Well, they’re a varied bunch and you have a number of options to choose from, depending on what it is you need. The biggest and one of the most popular providers, what you get in coverage and perks may be offset by the amount you need to pay for any of its plans. - Largest range of smartphones. - Far cheaper deals to be had with other providers. - Really have to spend if you want proper perks. Recommended if: you want consistent phone coverage across the board and are a heavy phone user. Another one of the big providers since its merger with O2, Three does offer favourable ‘all you can eat’ data packages as well as some additional perks. Yet its problems with coverage and outages could be a dealbreaker for those not living in urban areas. - Good all you can eat data packages. - Relatively cheap deals if you’re not interested in data. - Coverage can be patchy, especially in rural areas. - Calls and texts plans are limited. Recommended if: you want a great data plan while keeping decent allowances on calls and texts. Carving out a reputation for its prepay deals, Meteor is the middle ground for those who want decent calls/texts packages as well as some great data plans. Out of the big players, its prepay plans are some of the best out there with some very attractive deals on offer. - 15GB data on the cheap: one of the best prepay deals around. - Bill pay plans are expensive for what you’re getting. - Data offering isn’t as great on bill pay. Recommended if: you are on the outlook for a great prepay deal. Mainly provided with eir’s landline and broadband packages, eir Mobile is very much the sweetener in a bundle deal that would only apply to existing customers. - Great deals for current eir customers. - Limited calls and text plans for cheaper deals. - SIM-only deals are expensive compared to other competitors. - No reason to switch if you’re not already an eir customer. Recommended if: you are already an eir customer and rather an cheaper all-in-one bill. One that has been steadily growing, Tesco Mobile has made strides in the market thanks to a combination of cheap deals and decent smartphones. New competition means its deals aren’t as sweet as before but there’s still enough here to warrant a look. - Limited range of smartphones. Recommended if: you want cheap and cheerful plans, but don’t mind sacrificing either data or calls/texts. The new network provider from Carphone Warehouse, iD separates itself from other competitors by offering a great deal of flexibility in its plans. There are numerous combinations that will suit even the pickiest of customers, but it’s still very young. - Great max data allowance. - On Three network so could suffer the same network problems. Recommended if: you want more control over your phone deal and are a heavy data user. Focusing on the 18 – 22 age demographic, 48 is very much for those in college or university and has some good SIM-only deals. - Offers free WhatsApp messaging. - Only works on unlocked phones. - WhatsApp calls will use up data allowance. - Only available to those aged between 18 to 22. Recommended if: you’re aged between 18 to 22, and won’t go over the call/text/data allowances. Formerly UPC, Virgin Media launched its mobile offering during its rebranding launch and has two plans for those on its books. Non-customers can get in on the action as well, but the reasons for doing so aren’t as great. - Cheap plans for Virgin customers. 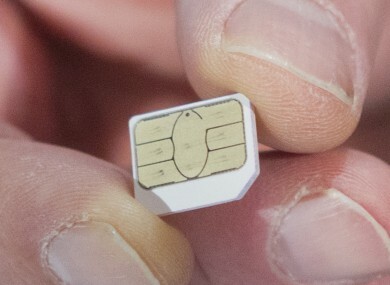 - SIM-only plans are handy for unlocked phone users. - Need to commit to one more year of Virgin TV and/or broadband package to avail of deals. - Non-Virgin customer deals not as good. Recommended if: you are already a Virgin customer and don’t mind committing to its TV/broadband package for longer. So with all of that in mind, Lynn keeps his advice short. Christmas is a big time for operators. They will be looking to gain customers over Christmas and they will be coming out with compelling offers so definitely visit the websites of the operators you’re interested in, be aware of the offers and shop around. Be aware of your own usage, use KillBiller or something else, and look at your bills so you don’t under or oversubscribe to a plan. Email “What should you consider before signing up to a mobile plan?”. Feedback on “What should you consider before signing up to a mobile plan?”.